· political, religious and environmental groups can have their voices heard. Volunteering also has a direct impact on the lives of Canadians, whether it is teaching and supporting children, providing health care, or supporting and giving companionship. According to report by Globe and Mail Churches, mosques, synagogues and temples are by far the biggest beneficiaries of charitable monies. All of the donations that were eligible for a tax receipt, roughly 40% - about $4 billion - went to religious organizations. It also found that religious people give more, and the more religious you are, the more you give. Contributions can be made to many worthwhile causes and non-profit organizations, but only donations to registered charities qualify for an income tax credit. Although they are often called “tax deductible,” they qualify for a non-refundable tax credit, not a deduction from your income for tax purposes. 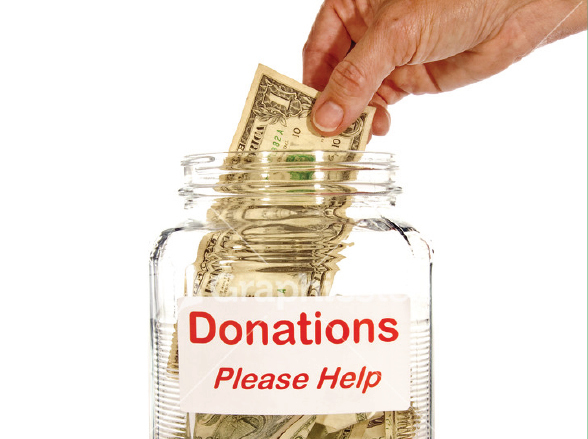 Raising the issue of charitable giving with your family, friends, clients can by deeply rewarding – on both a personal and professional level. Talking about philanthropy can strengthen your client relationships and make a difference in your community at the same time.